Save BHD 1.65 (30%) – Earn 4 Shukrans What is Shukran? Shukran is the Landmark Group’s award-winning loyalty programme in the Middle East, which allows you to earn Shukrans when you shop any of our brands. An ideal gifting option for a newborn, this six-piece gift set is an adorable pick. 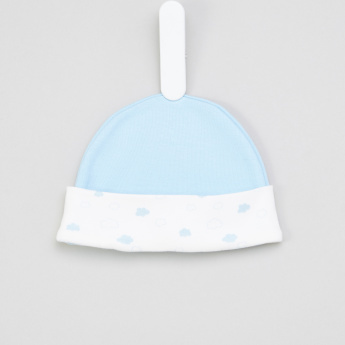 It has a soft and gentle bodysuit matched with mittens, booties and a cap. The bib and blanket sort daily requirements adding to the utility. Set Contains : 1 bodysuit, 1 mittens, 1 hat , 1 booties, 1 blanket, 1 bib.